The last time I blogged we were in Florida. So, I’m going to blog again. YAY!!! Now, I’m going to talk about Flagstaff, because I want to tell you about the park where I’m staying and the places that I’ve been. 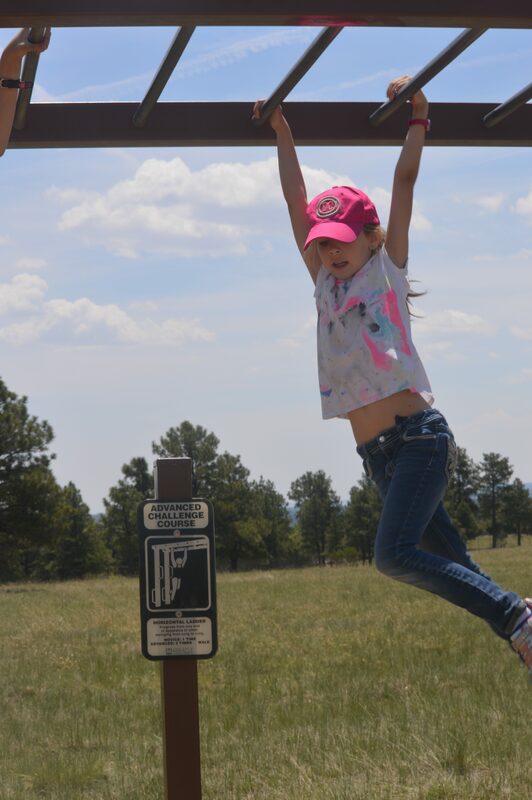 Yesterday, we went to the Buffalo Trail, where we saw some exercising squares (places built so you can do exercising along a two-mile trail). It was pretty fun! 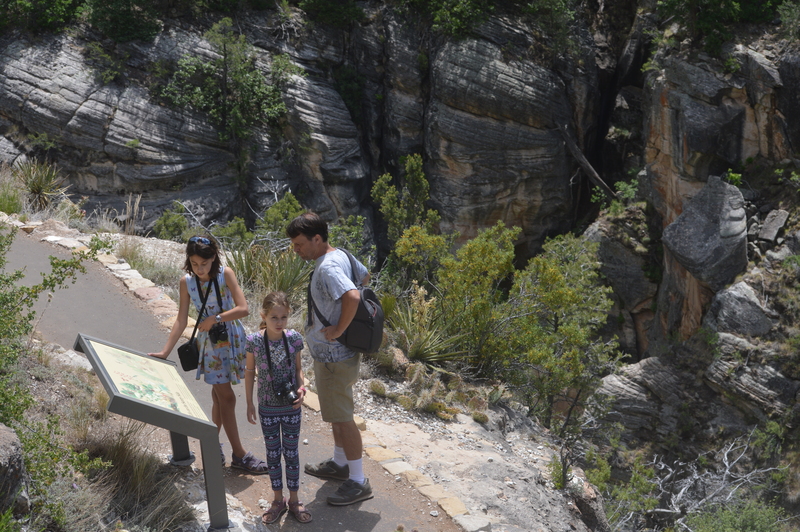 Also, there were people along the trail who were doing pop quizzes about different continents. One time I got one of the pop quizzes exactly right. The question was “How many kinds of lemurs are there in Africa?” It was 100 lemurs, that I got right! I’m bragging, aren’t I? But you’re good, too! There’s this really small nice museum (Museum of North Arizona). 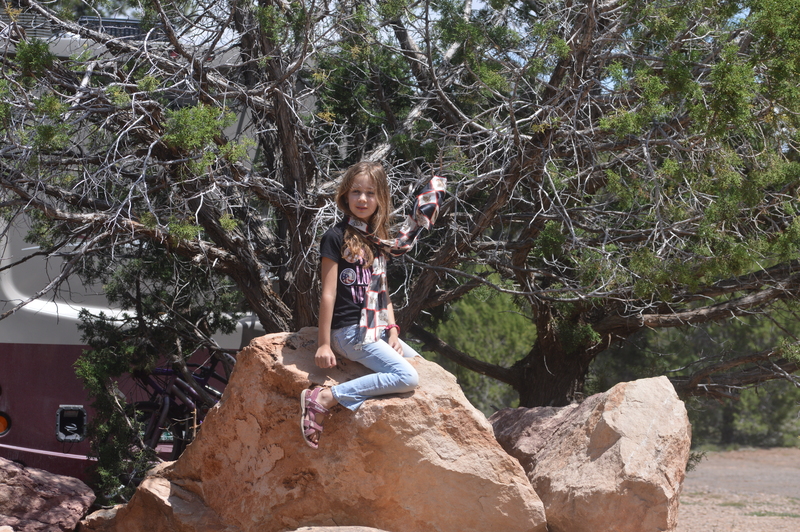 I really liked this rock called pumice (I know how to spell it). It was so light! Because it was from a volcano and all the gas trapped in it, that’s why it is so light. And also Mommy told me about a rock that when the volcano erupted the lava shoots up and as it cools it forms into a rock with hot lava in the middle. Because how it cools, is that volcano is hot, right? And the air is way cooler than the volcano, so when it erupts, it shoots out up in the air and it gets colder, so it turns into rock. Then it hits the ground and shatters into lava. It’s called a Volcano Bomb. Now I am going to talk about our campground. It doesn’t have any power, dumping or water to fill up in. It’s called boondocking. There’s lots of humongous rocks here. I like to play on them and jump on them. And I had a picnic on one! But I find a lot of little things, like steel cans and a little tiny car and a television. It was just sitting there. I also found a lot of bones. They were from some kind of animal that was big! It could be an elk or a deer. 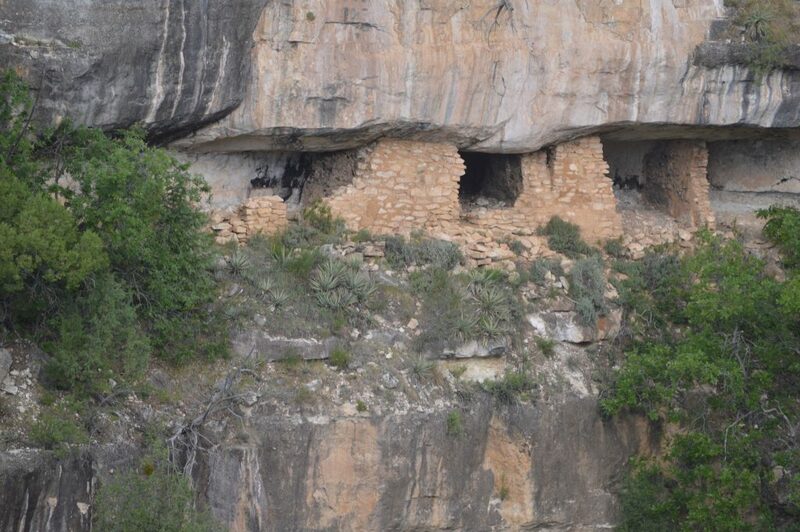 We are close to Walnut Canyon, which had people from the olden times who made really good homes in the cliffs. They made necklaces out of shells. And do you want to hear a fun fact? Guess how they protected their house from the cold? MUD! The girls put mud on the houses to keep it warmer, so no cracks could get through and so they weren’t as cold! The trail was called the Island Trail. It’s really pretty. Sometimes me and Mommy went all alone early in the morning when it was cool. There was a lot of stairs, let’s get that straight! Mommy says there were 273 stairs down and up. And Mommy’s getting really good exercise and so am I. Welcome to Flagstaff! See you on the trails! I love reading this latest blog, especially with the wonderful pictures. 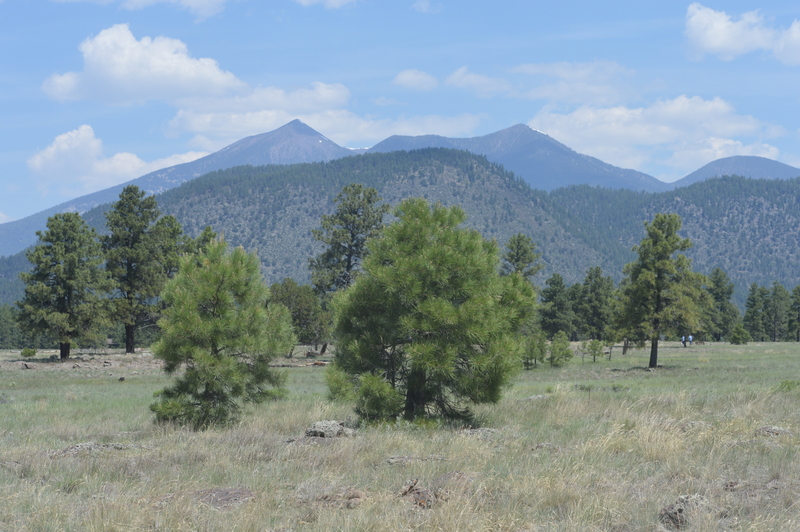 The scenery there in Flagstaff is sure different than it was in Saguaro National Park.